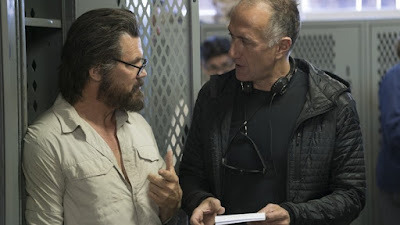 Stefano Sollima had an uphill climb following up Denis Villeneuve's Sicario with the unlikely sequel, Day of the Soldado. But the drug war thriller did relatively well at the box office, and while it wasn't up to the high bar set by the original, it was good enough that people want to see the trilogy wrap up. Whether Sollima comes back for that we don't know, but we do know what he'll be doing next, and it's directing Michael B. Jordan in the Tom Clancy film, Without Remorse. This story doesn't follow the adventures of Clancy's most popular character, Jack Ryan, as he's busy being played by John Krasinski in an Amazon TV series. Without Remorse centers on John Clark, a tough-as-nails soldier who does whatever it takes to get the job done. He's appeared in a handful of Jack Ryan stories, always as the guy who gets his hands dirty while Ryan is the dutiful analyst. Without Remorse is an origin story for Clark, while it's expected the film will be followed by an adaptation of Rainbow Six, which shows him as an expert hunter of terrorists. Yeah, this is turning into another major franchise for Michael B. Jordan. The plan is to get moving on this quickly, which is probably the right idea so Jordan doesn't run into any scheduling conflicts. Sollima can handle the action necessary for a movie like this, even if he isn't the most dynamic filmmaker around. The film should be in relatively good hands.